Meghan Markle and Kate Middleton have become the latest comparison of elegance. Both the ladies are exceptionally remarkable with a slight difference in their royal privileges. Their roles are hierarchical within the British monarchy. However, the two ladies also have some pros and cons of their position. The heavily pregnant Duchess of Sussex is known for her exquisite taste and passion for branded clothing. On the other hand, the Duchess of Cambridge is more reserved in choosing her luxuries. In 2018, reports confirmed Meghan's total style-spendings to be around $509,278. In contrast to this eye-watering expenditure, Kate had it only at $85,097. A new special episode will be airing on TLC network soon. It will feature the chronicle of Meghan and Prince Harry's upcoming baby. The segment will include a brief insight into the Duchess' lavish maternity style. 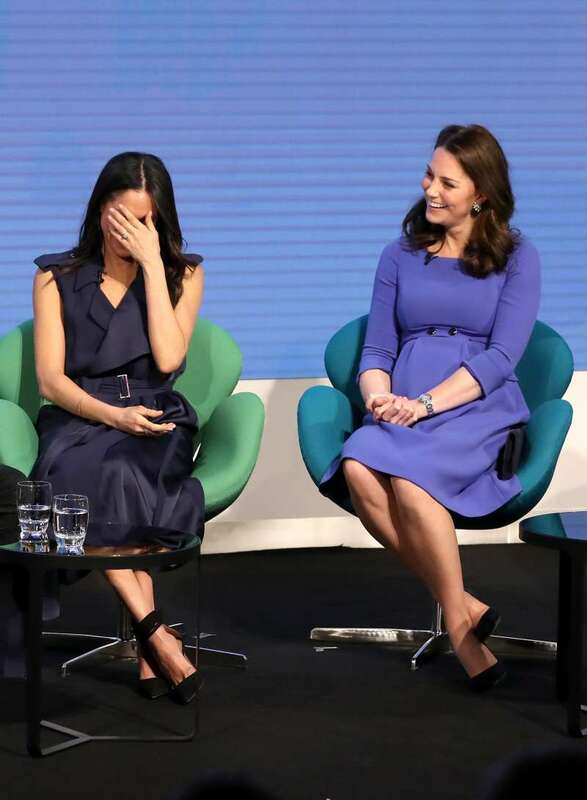 Several celebrity journalists put their heads together and concluded how differently Kate and Meghan treat themselves. The experts claimed the two Royal Highnesses are 'not on the same page'. Kate Middleton is Queen-to-be and she is closely watched by Her Majesty. She cannot afford to deviate from modest and budget-friendly attires. while Meghan continues her 'actress' lifestyle. She is free to fashionably express herself in ways that her sister-in-law cannot. Social media users weighed in and voiced their thoughts on it. Some absolutely agreed to it while others went in defensive mode. The debate was heated on! I think her style is great! I am disappointed, however, that you included her very jealous and hateful half-sister on this special! Kate doesn’t have any restrictions. Just look at her photos in 2013-2014. Meghan, Kate, Anne, Camilla and Sophie wear expensive clothes, #facts. And I bet the royal men aren’t cheap with their clothes. Why is everyone so concerned about the cost of Meghan's outfits? Is she the only royal who wears expensive clothing/accessories? Can we see the costs for the Queen's, Kate's, Camilla, etc??? Do you think Meghan has more liberty in grooming herself with the latest trends and Kate is obliged to carry on the traditions? Share this and let us know! READ ALSO: Body Language Of Meghan Markle And Kate Middleton's Pregnancies: Who's "Totally In Tune" With Her Baby?